A "compelling and thought-provoking" (Kristin Hannah) novel about two mothers and one daughter who are linked by tragedy and bound by secrets, from the acclaimed author of Heart Like Mine. The screech of tires brought Hannah Scott’s world as she knew it to a devastating end. A year after she signed the papers to donate her daughter’s organs, Hannah is still reeling with grief when she unexpectedly stumbles into the life of the Bell family, whose fifteen-year-old daughter, Maddie, survived only because Hannah’s daughter had died. Mesmerized by this fragile connection to her own daughter and afraid to reveal who she actually is, Hannah develops a surprising friendship with Maddie’s mother, Olivia. 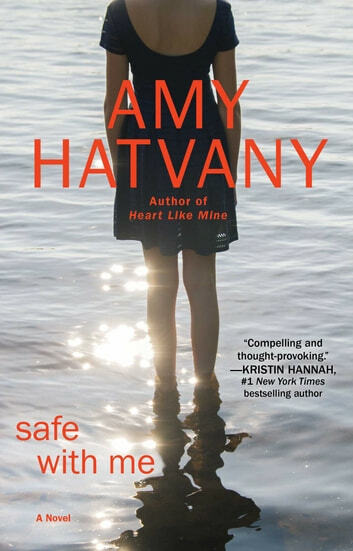 A masterful narrative shaped by nuanced characters whose delicate bonds are on a collision course with the truth, Safe with Me is a riveting triumph.